Kurt Cobain of Nirvana during the taping of "MTV Unplugged" at Sony Studios in New York City, Nov. 18, 1993. Frances Bean Cobain has officially finalized her divorce from her estranged husband, Isaiah Silva, E! News can confirm. 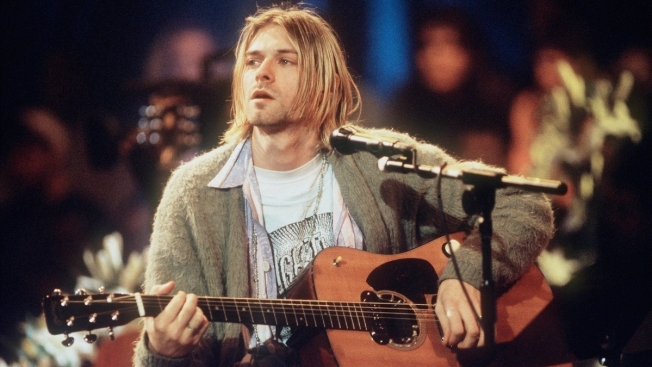 In the settlement, Cobain lost her late father Kurt Cobain's famed 1959 Martin D-18E guitar, which he played during Nirvana's "MTV Unplugged" performance in November 1993. However, she does not have to pay spousal support, according to documents obtained by E! News. Previously, Silva said Cobain gave him the guitar as a gift, which she has denied, according to People. The outlet reports Cobain requested to keep the iconic instrument but was denied by the judge. The Blast reports the acoustic guitar is worth millions of dollars. Frances Bean Cobain married her boyfriend of five years in a small and intimate ceremony on June 29, 2014.